Hope you win the challenge! Hi Eliz! Thanks! It's just fun to try something new. 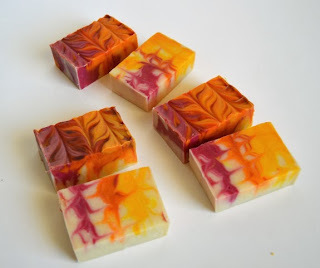 The more I get into soapmaking the more I realize there is SO MUCH to learn!! 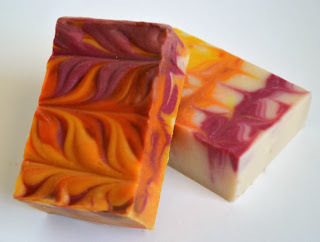 Lovely swirl, great colors, awesome name! Love those bright, bold colors!! Looks fantastic! 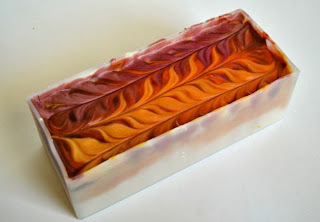 Love the flame colors! Nice how the design came out in center too! Woohoo! 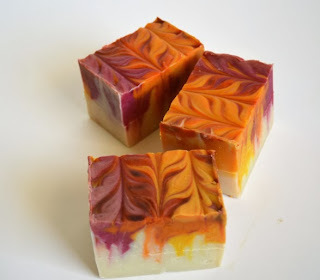 Awesome name to match that awesome soap! (We love The Hobbit around here, too!) Great job! Great colours and I love the name!